Temple Area Guide - What makes Temple so great? Where do Temple locals go? The best cocktails and great panoramic views of London - it's the perfect spot for pre-dinner drinks, a romantic date and for those looking to celebrate in style. A restaurant, bar and club all in one, so you can spend all night here! It's a great place for large groups who want to catch up over dinner without having to move on to somewhere else later in the night. The afternoon tea at One Aldwych is a magical experience. Inspired by Charlie and the Chocolate Factory, the steaming cocktail is just one of the culinary spectacles! 'Bond in Motion' exhibition - see the actual cars and gadgets of 007 made famous by the movies! World famous Omelette Arnold Bennett! A beautiful spot to sit in the sunshine! They have a few stores around, but this is the best. Curly Whirly cake is the food stuff of legends, the most chocolatey chocolate cake ever! This is the perfect place for a quick and tasty dinner with friends in central London. The pad thai is so tasty and they even have an app that you can save money with. One of world renowned chef Raymond Blanc's chain restaurants with delightful views over Covent Garden. Ideal for after work drinks or reasonably priced, freshly prepared meals. The only pub where you can pull your own pints from your table! Every table also has its own iPad from which you can order drinks and food - the novelty will never wear off! If you really want to taste Indian food, then this is the place to go. They offer chai (tea) in a little cup. The atmosphere at this place is amazing - it feels just like Bombay! Share your favourite place to go to in Temple. "Covent Garden is actually spelt incorrectly - It was meant to be named Convent Garden after the convent garden built on the site from the 1200s." 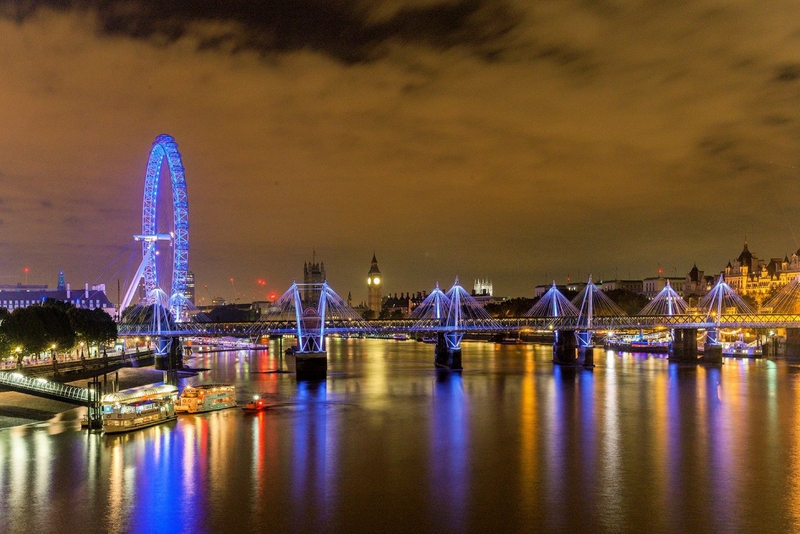 London's Southbank never fails to entertain with its food markets, restaurants, street art, shows, and exhibitions. It's my favourite place in London! Do you live in Temple, or have you lived in Temple recently? If so, let us know what you like about living in Temple. Feedback about living in Temple has been submitted directly by the public and may not neccessarily reflect the views of Foxtons. The description of Temple was modified from Wikipedia and is available under the Creative Commons licence. Land Registry data is Crown copyright. All the views and contributions contained within Foxtons Local Life are those of the contributors. All content is assessed before publishing for taste, however free opinion is encouraged. Foxtons accept no payment or sponsorship for content that is posted about Temple.